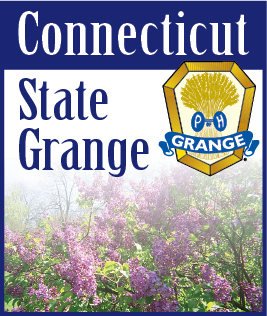 Congratulations to both Hillstown Jr. and Ekonk Jr. for participating in the National Grange Jr. contests. In Creative Art, a Junior Outstanding Achievement Award was received. A 1st by Alissa Lacasse of Hillstown Jr. Participation Recognition was also received by Shannon Mathews, Mary Burlette, Angelina DeDominics and Noella Burlette of Hillstown Jr. and Clifford Gervais and Trevor Gervais of Ekonk Jr. In Creative Writing, Junior Outstanding Achievement Awards were received. A 1st by Mary Burlette of Hillstown Jr., a 2nd  by Trevor Gervais of Ekonk Jr., and a 3rd by Clifford Gervais of Ekonk Jr.  Congratulations again. The National Contests will be judged on July 25th by Ct. Jr. Committee at Celebration Day then sent on to National. You may still enter National on your own if you want. Check the Blue Book for themes and rules.